Blizzard made an appearance at PAX East last weekend, fitting in a lot of information and even debuts for their various games. On the WoW side of things, several prominent streamers were able to get interviews with the devs present. Some information is stuff we already know, re-iterated for fans who might not have seen it in other sources. However we also got some clarification and even bits of new information about the upcoming expansion and state of the current game. Even though nearly everyone is focused on the expansion coming in four months, the live game isn’t being left behind. FinalBossTV asked about nerfs to the current raid. They wondered if we’d get any of the late game or end of expansion nerfs that we’ve received in the past to make content more accessible. The devs replied there is no timeframe on whether Antorus will receive nerfs. But they are looking at it, as well as ways currently in place to feel stronger instead of outright nerfs. For example, Antorus trinket upgrades every week, or Titanforged pieces. Unfortunately this still feels too restricted to RNG. Players like to have concrete nerfs to kill a hard boss, rather than hoping for lucky gear when they kill easier bosses. As for lessons learned, they admitted in the interview with SpartySmallwood that encounters that benefited from class stacking, like Coven of Shivarra or the amount of soaking in Tomb of Sargeras, were a lack of communication between the encounter design team. It’s nice to see them admit this, but also unfortunate that communication issues persisted for two tiers in a row. Hopefully those resolve in Battle for Azeroth. No set number of tiers for raids. It’ll depend on what makes sense for the story, rather than adding tiers just for the sake of having a specific number (SpartySmallwood). The raid release schedule for Legion worked well in their opinion. It looks like Battle for Azeroth could have a similar timeframe. As far as raids and overarching stories, Queen Azshara is to be the “Gul’dan” of the Nighthold (Slootbag). 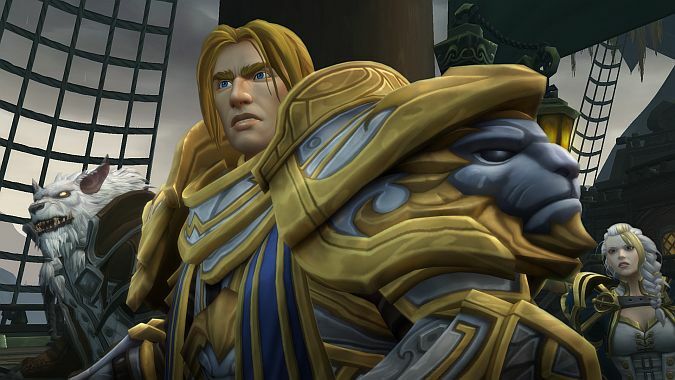 Unique Azerite armor, raid-themed armor sets/traits, and cool trinkets will come only from raids. No need to worry about the removal of class tier sets also removing incentive to raid (Slootbag). Master Loot vs. Personal Loot changes are intended to fix the issue of “split raids” that high end guilds do, as well as solve “issues of friction” (FinalBossTV). Unfortunately, the loot direction may backfire. It may be a case of swinging the pendulum too far to address what is a minor issue. Only the highest of guilds do split raids. Removing the ability to use Master Loot, like they already did in PUGs, just punishes guilds. It’s very similar to the change that made BOEs personal loot only. 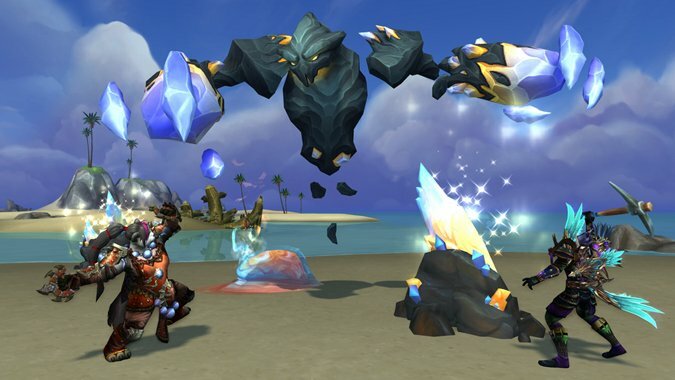 BOEs were increased in raids to compensate guilds for losing the Cash Flow guild perk. But making them personal loot because of complaints about PUGs ninjaing just punished the same guilds they were meant to benefit. “Issues of friction” was already solved by the change making Master Loot only accessible if 80% of the group is a guild. Guilds should be able to control the method of loot. Otherwise, it’s just a very fancy name for a loose community. The War Campaign is similar to the Class Order Campaign in Legion. Except this time, we’re focusing on our factions rather than our classes. After you finish questing in your faction’s zone (Kul Tiras for Alliance, Zuldazar for Horde), you’ll be sent to the enemy zone to help your faction (SpartySmallwood). The goal for Warfronts is to make players feel like they’re actually in the front line of a war (Swifty). Warfront contributions will accommodate every player style, from professions to PVE to PVP (SpartySmallwood). 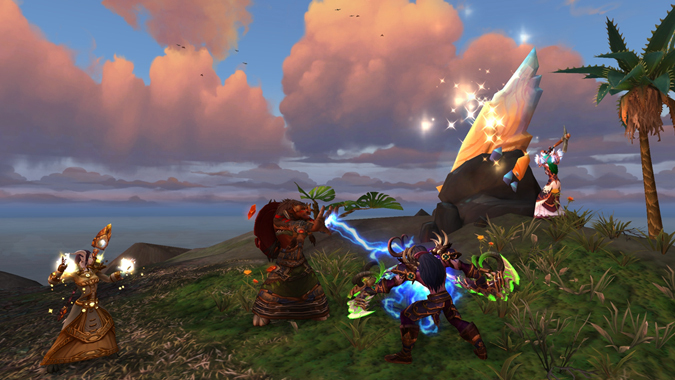 Island Expeditions are similar to Mists of Pandaria’s scenarios, but much more dynamic. Scenarios were the same every time and part of the story. Island Expeditions will be random, changing every attempt. They will have four modes of difficulty — Normal, Heroic, Mythic, and PVP (SpartySmallwood and Slootbag). We will see how the war impacts Azeroth, likely similar to the various changes in the Vale of Eternity in Mists of Pandaria (Shacknews). As far as the general game is shaping up, it seems like Battle for Azeroth truly intends to drop us into a war and make us feel the effects. Whether we’re justified in upholding our honor, or being manipulated into all-out war, we’re going against each other and will find conflict one way or another.